PrestaShop FAQ Module provides you all must to have features for incorporating FAQs on your website. This plugin creates a separate page for FAQs. Accordion style FAQs offers pleasurable browsing experience for your customers. Your customers can rate, comment, like/unlike any question as well as they can ask their queries using "Ask a Question" form. This plugin supports FAQ block and search as well. 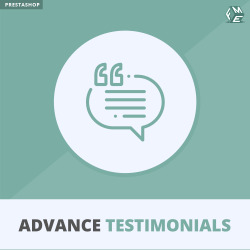 Our Advance PrestaShop FAQ Module is another smart solution to help your customers resolve their queries. This FAQ Module for PrestaShop creates a separate FAQ page on your website that serves to resolve most common questions your customers will have. FAQs on this page are categorized into topics set by the admin; you have the control to define the appearance and how many questions to show within any topic. Each question can be rated by customers; they can like/unlike and comment on it as well. This helps them ask what they want immediately without having to contact you separately. In case they need to ask any question, this PrestaShop FAQ extension includes an Ask a Question form which can be set to open up in a popup or in a sliding manner. This addon comes with FAQ block and FAQ search options. FAQ block also provided which can be placed on any position at your website. It includes FAQ search as well. You can fully manage this block’s setting such as number of topics in it. Ask a Question form integrated. You can enable it to show up in a sliding manner or in a popup. Checkout the demo of this PrestaShop Advance FAQ Plugin to see all these features live. If you have any question or require custom work please feel free to contact us. Great ! it work very well. Thank you for your assistance.